September 28, 2015 (Tokyo, Japan): Japan Display Inc. (President and COO: Shuji Aruga, JDI) is announcing, renewal of its organization, effective October 1, 2015. The objective of this reorganization is the reinforcement of JDI’s autonomous business division framework, and furthermore, optimization of JDI's total business. JDI aims to achieve its objectives by enforcement of work definition; by organizing production, sales and engineering within each division; and by strengthening JDI's headquarters and indirect support functions under this restructuring. The following 3 divisions will be newly organized. 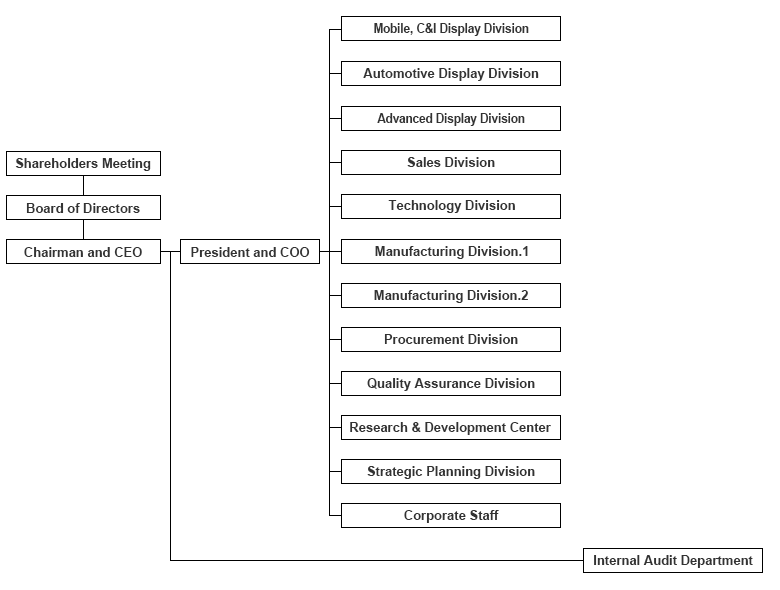 The Sales Division will be newly organized. The Design Division will be divided into a newly organized Technology Division, an organization for inter-divisional design management, and separate design organizations within each Division. The Strategic Planning Division will expand and strengthen its function. The Research and Development Division will be reorganized as the Research & Development Center.